And just like that, summer break is ending. In six days, my babies head back to school. My littlest will be in third grade, and my oldest, a big bad fifth grader. It's crazy. I'm sorry I haven't blogged in nearly a month. No excuses - I just didn't feel like it? I am stressing about things I cannot control, which haven't yet begun. Even my Instagram accounts (here and here) are quieter than normal, although they still see more action than the blog. 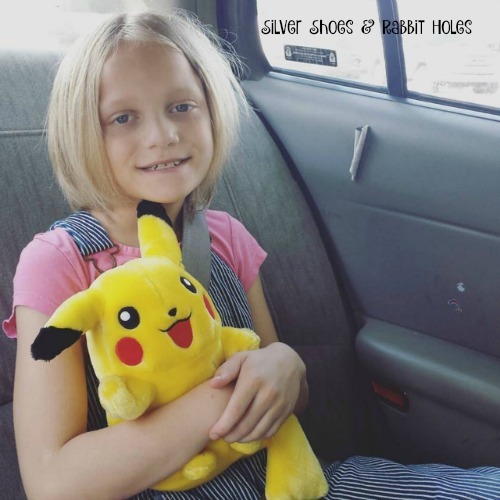 As you can see from the lead photo, Pokemon Go has been a big deal with the girls. I love that Big Sis accidentally took this picture of Doduo out by the chicken coop. How perfect is that? Meanwhile, Little Sis found Pikachu at the DAV. Remember my Summer To-Do List? Well, there are definitely items we did NOT check off the list. No travel, no day trips, no amusement parks. No Lindsborg Midsummer Fest. I planned for us to attend a Wichita Wingnuts baseball game on the 4th of July, but that didn't pan out, either. So what did we do? I finished a three-week run of A Midsummer Night's Dream with Wichita Shakespeare Company in June, complete with real fireflies for beautiful fairy special effects. Big Sis performed in her first "big kid" dance recital. Both girls took dance classes through June and most of July. (Big Sis even assisted her ballet teachers with a couple of classes!) I took the girls to the Ballet Wichita production of Alice in Wonderland. My youngest niece turned three, and my sister threw an adorable Little House on the Prairie birthday party. The girls love their Doodle Crate subscription! The last two projects were enormous hits. Big Sis continued her guitar lessons. 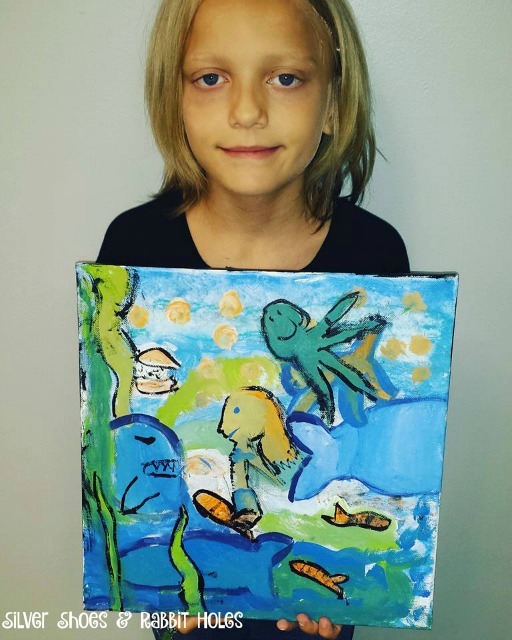 Little Sis took art classes with her 2nd grade art teacher, in another nearby town. 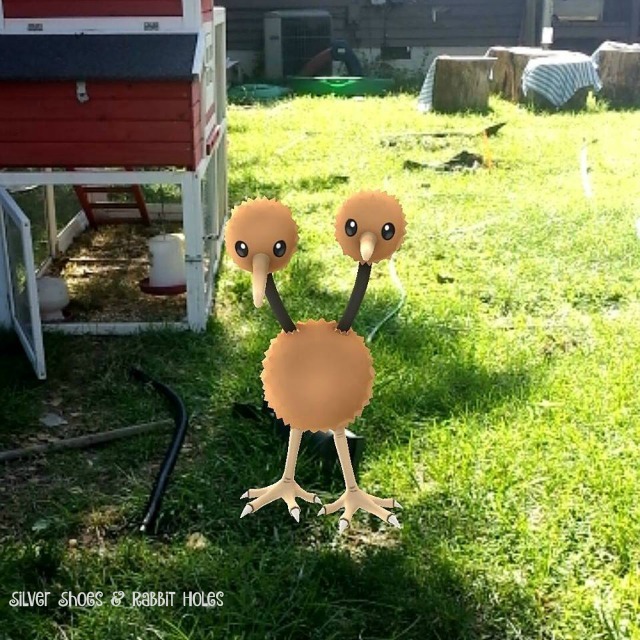 This gave us a chance to play with my friend Tara and her kids, too. And Little Sis knows that if she wears her unicorn version of these, she will get all the attention. 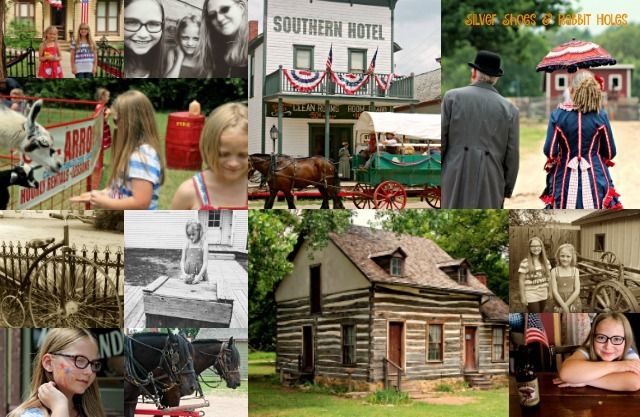 The girls and I Celebrated America at Old Cowtown Museum. 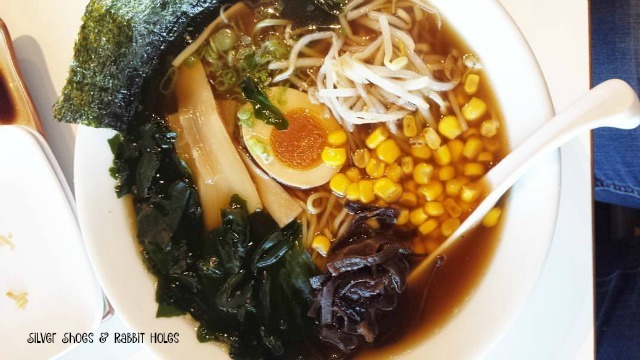 Mr. B took me to the new Yokohama Ramen Joint, which was amazing. 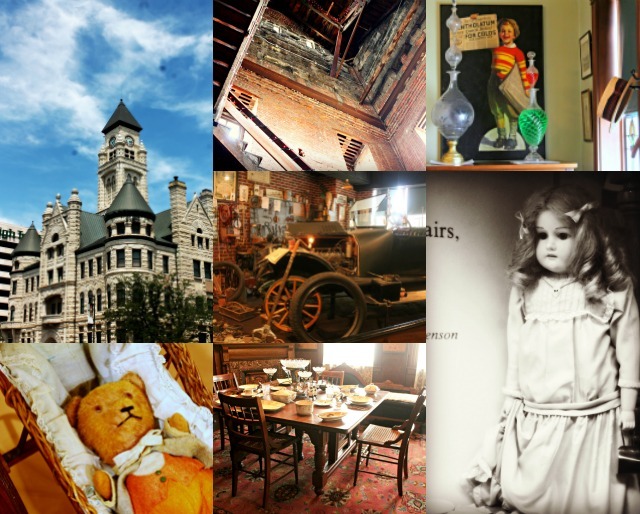 We celebrated Wichita's Birthday at the Wichita-Sedgwick County Historical Museum. 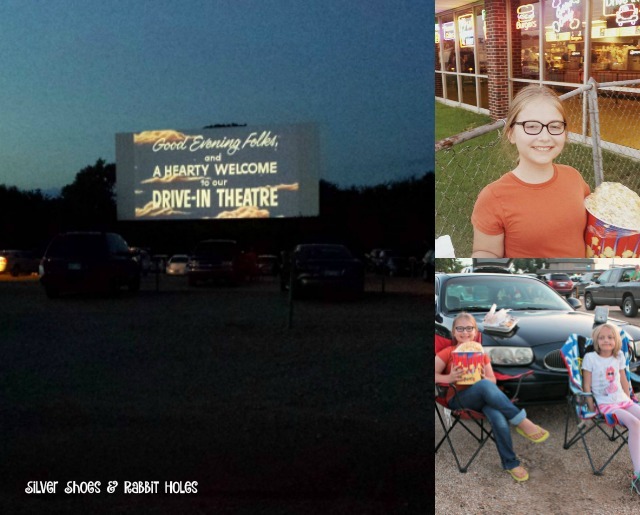 The whole family went to the Starlite Drive-In! We saw the entire triple feature and got home at three AM, because we're crazy! Then the very next night, we stayed up late again, to attend a Harry Potter and the Cursed Child Midnight Book Release Party! I had a birthday. We celebrated with my sister and nieces, dad, and grandma at one of my favorite restaurants the weekend before the actual day. 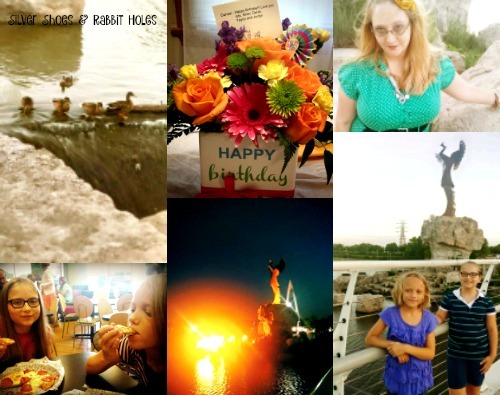 The girls and I spent August 3 eating out again, and visiting the Keeper of the Plains and Wichita Troll. 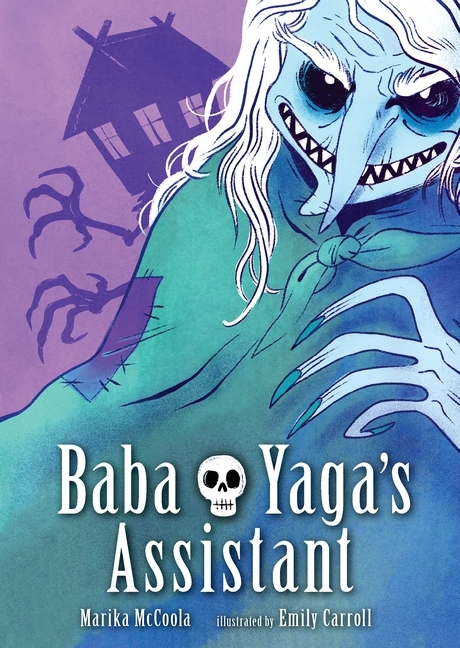 I also enjoyed some Christmas picture books, helped Little Sis with some blog posts, and staged a Mad Tea Party for a blog hop, but I'm hoping you know all that. 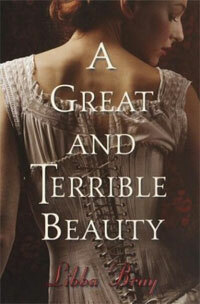 Me: I finally read the Gemma Doyle trilogy by Libba Bray, which I loved. I also caught up on Alex Grecian's Scotland Yard's Murder Squad series, zipping through the most recent three books back in June. I must have been in the mood for Victorian Era stuff, because I also read The Paper Magician Trilogy by Charlie N. Holmberg. The covers caught my eye, and the premise was promising, but to be honest, I had trouble believing these took place at the turn of the last century. Everything seemed too modern. I loved Michael Cunningham's A Wild Swan, which consists of some darkly funny (and very adult) retellings of fairy tales. I read the second book in the Curiosity House series for middle grade readers, The Screaming Statue. It was cute, but I didn't enjoy it as much as I thought I should. If only I could get Big Sis to give them a try, but she is still in Harry Potter La-La Land. 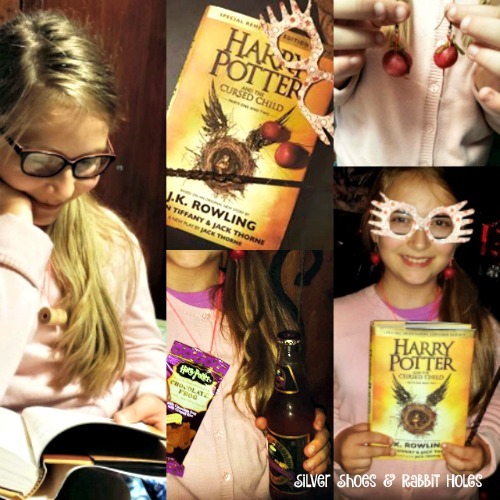 Big Sis: She finished the Harry Potter books, and read The Cursed Child, too. She has started multiple books, but cannot seem to get into anything, because they aren't Harry Potter. This list includes the first Percy Jackson book, Little Women, A Wrinkle in Time, and possibly Splendors and Glooms by Laura Amy Schlitz, although I've seen her carrying it around lately. Little Sis: Owl Diaries #3, A Woodland Wedding. Some Babymouse books. 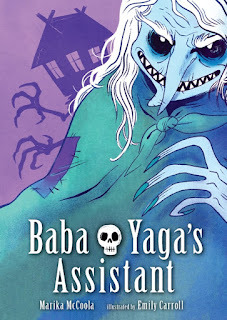 Together, we read Baba Yaga's Assistant, a graphic novel by Marika McCoola and Emily Carroll, which we loved. As a family, we liked The 50 States, Fancy Nancy: Saturday Night Sleepover, There is a Tribe of Kids, When Green Becomes Tomatoes, and Swatch: The Girl Who Loved Color. We're still working on The Magic of Oz, as well. 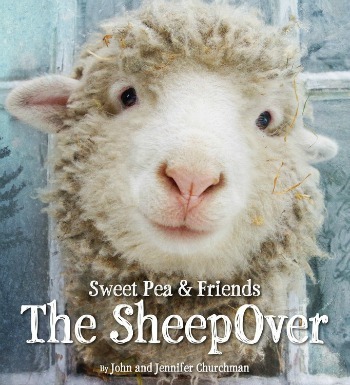 Oh my gosh, and for magical illustrations, there was Sweet Pea and Friends: The SheepOver by Jennifer and John Churchman. In the theater: Alice Through the Looking Glass, The BFG, Ice Age: Collision Course, The Secret Life of Pets, Ghostbusters [the last three were at a drive-in triple feature], Pete's Dragon. Teeny-tiny reviews: Alice was bearable (low expectations = enjoying it more that I thought I would); loved The BFG; had never seen an Ice Age movie before, but it was cute, I guess; enjoyed The Secret Life of Pets, but not as much as Mr. B, who quotes it all over the house; really liked Ghostbusters; really, really liked Pete's Dragon. Netflix: Big Sis, Mr. B and I binge-watched The Gilmore Girls, which is now tied with Parks and Rec for Big Sis's favorite show. (We still watch a lot of that, too.) Can't wait for November! We're slowly working her way through Cheers, too. Little Sis continues to love all things Disney Channel and Pony and Littlest Pet Shop-related. We ALL loved Stranger Things. Amazon Prime Video: Just Add Magic. This is my new favorite kids' show, and I can't wait until next season. The girls and I even started watching it a second time. Also, Sabrina the Teenage Witch and the first three seasons of iCarly (all that's available). Over-The-Air: the Olympics in prime time! Now that summer is winding down, I should be getting back into my blogging rhythm. Until then, Merry Reading!